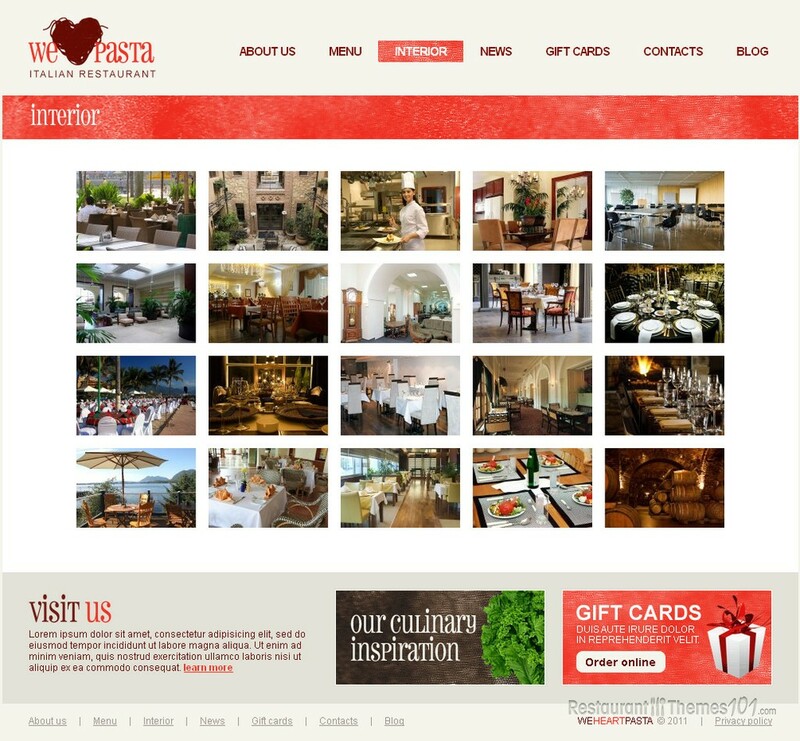 WeHeartPasta is a great looking Italian restaurant template for Joomla created by MariArti, and featured at Template Monster. 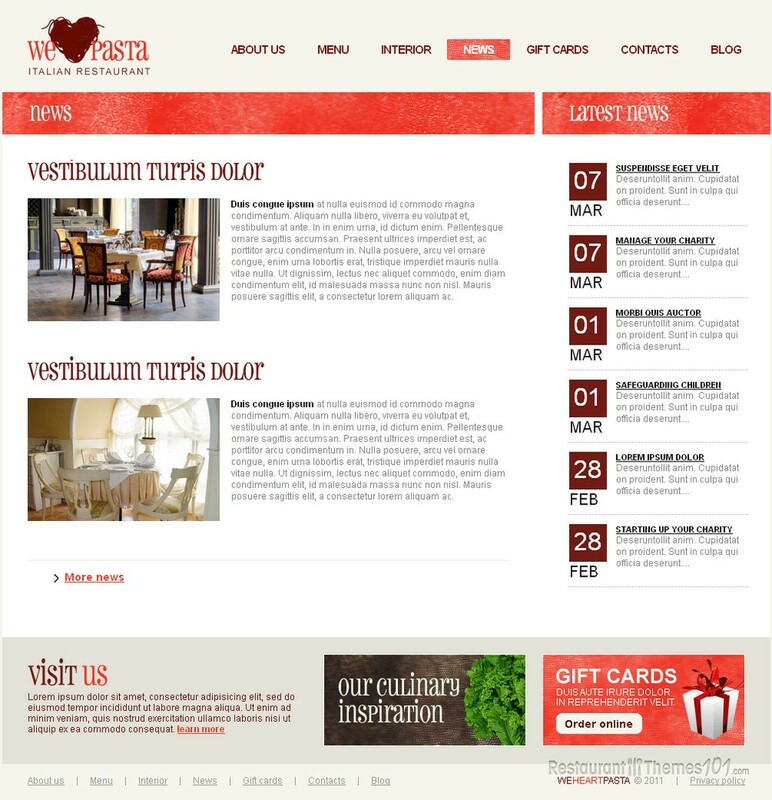 The layout presents a nice choice of colors, perfect for an Italian restaurant: passionate red to match the Italian temper and white to cool things down a bit. A large, quality photo will represent your restaurant in a nice and attractive way, making everyone hungry for your delicious pasta. You will be able to feature your most popular or favorite meals on your homepage by adding thumbnail photos of the dishes, and these photos will be linked to a page where your visitors can read all about it. 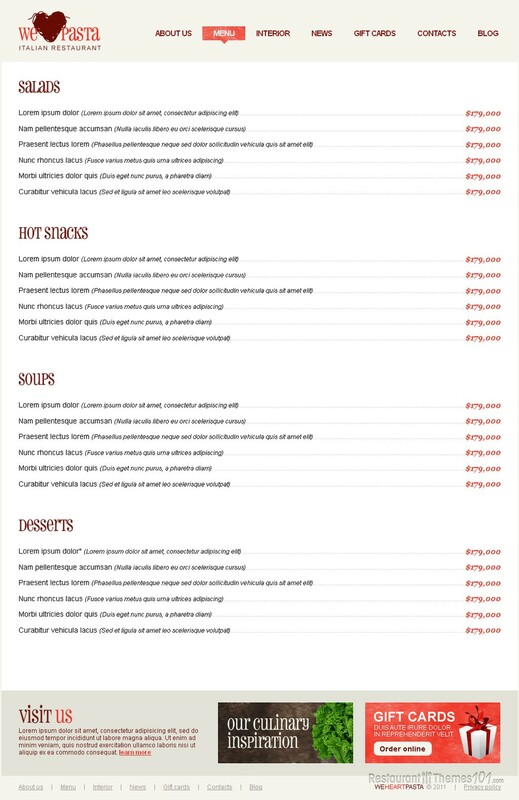 The menu is very nicely organized, and each plate will have its own page, where you can post the whole recipe along with photos and tips for better cooking. 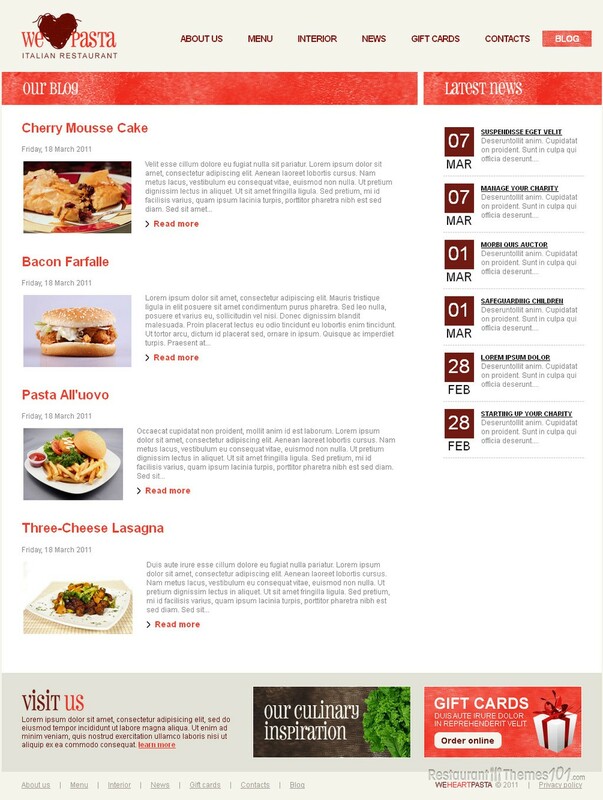 This template features a news section, reserved for letting your visitors know what’s going on at your restaurant, or for announcing any special event or party you might have organized. The blog section is there for you to post as much as you want, and introduce your guests to your restaurant as detailed as you wish to. The “contacts” area reveals Google Maps integration. This is very important because it makes it very easy for anyone to find your restaurant. They will get directions right there on your website! A simple, functional contact form was added also, and it allows your visitors to contact you quickly by sending an email directly from your website. 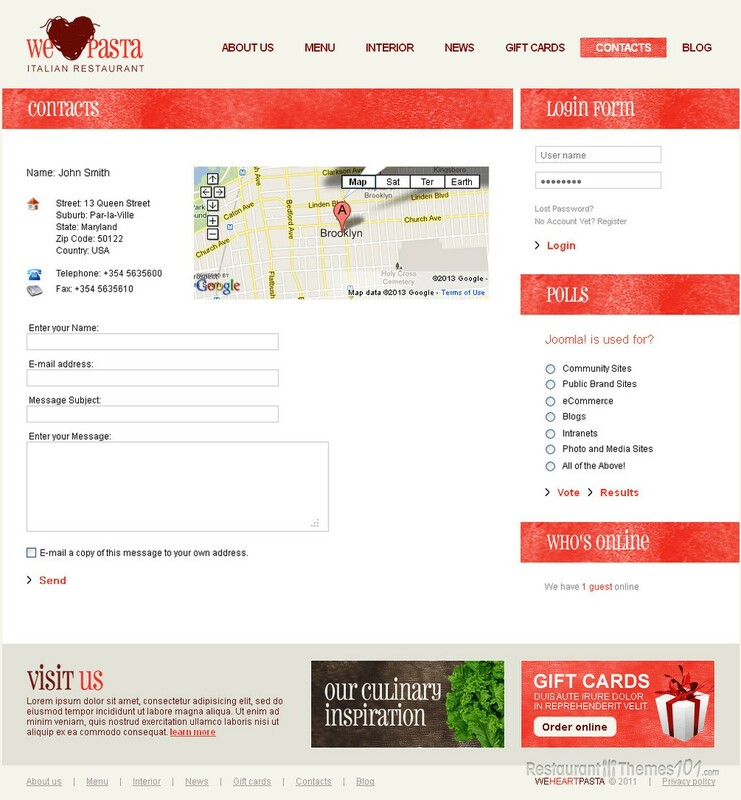 WeHeartPasta allows your visitors to register and login as they please, vote on your polls, and get a whole interactive experience while browsing your website. 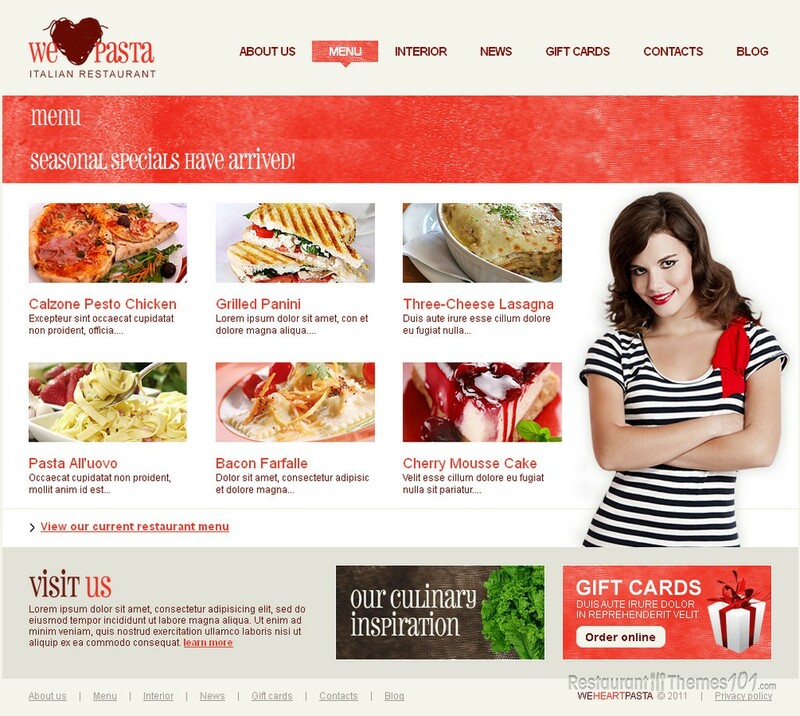 This Joomla Italian restaurant template comes with installation and setup instructions attached, so you can run your own website without the help of a professional web designer. It features a powerful admin panel which is very easy to manage and you will have no trouble maintaining your website even if you aren’t a skilled designer. 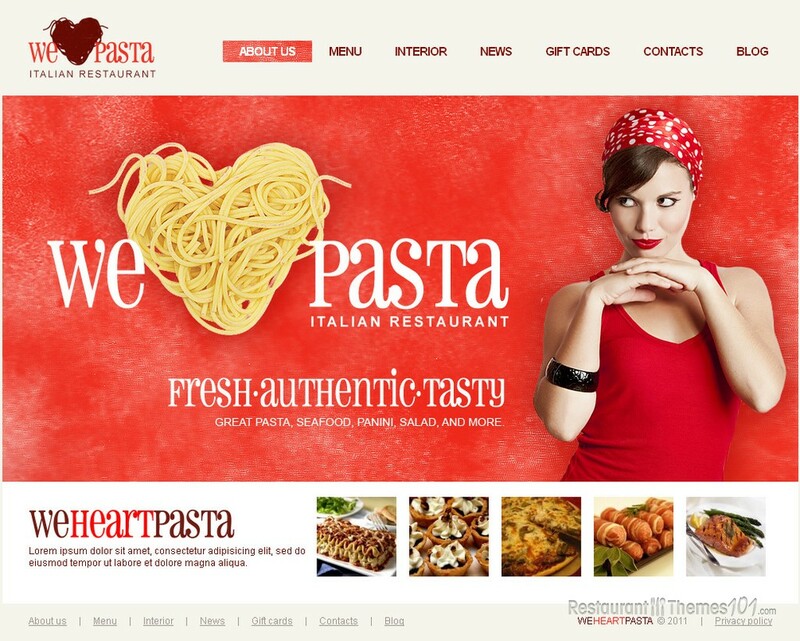 Besides this Joomla template you can buy WeHeartPasta also as a Facebook page template.